As the story goes, Michigan was once inhabited by its native people until the French basically came in and kicked them out so they could do their French thing and make fancy beaver skin coats. After all that French beaver silliness came to an end, that’s when things really got down to business with railroads, manufacturing, mining, and eating so many coneys, laying the foundation for the Michigan we know and love today. We’d like to give a shout out to the state’s oldest restaurants which have mostly run continuously for 90 years or more. We are cutting a couple of these places slack for having endured a fire or two over the years, because that kind of thing used to happen. A lot. What once was a popular stop for stagecoaches and hardworking pioneers is now a blue-collar haven for daily loaders and weekend warriors alike, and a popular stop on motorcycle trips. The Inn retains its dusty, wild Midwest character and seems to withhold the stomping, rambunctious crowd it gets every Friday night. What you’re getting: Award-winning Hungarian goulash and classic Michigan fare such as lake fish in a beautifully renovated stagecoach stop. 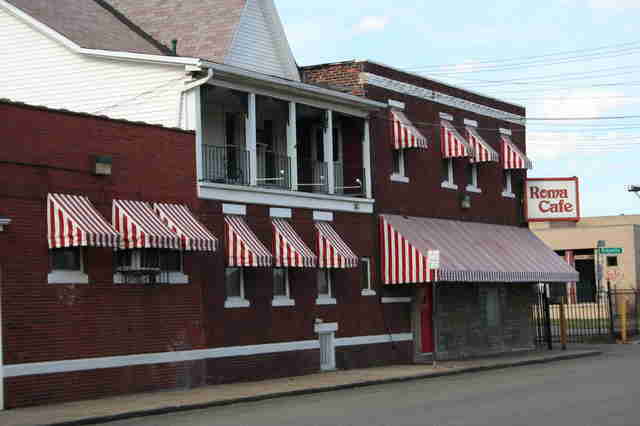 Renovations began in 2012 on this historic restaurant after its previous owners could no longer afford to keep up with the repairs that would be required to keep the more than 160-year-old building up to code. It ended up becoming a project for the entire town (of which there are about 25 people) to help the inn keep its vintage aesthetic. What you’re getting: Burritos, cod, smelt, perch, and steak! 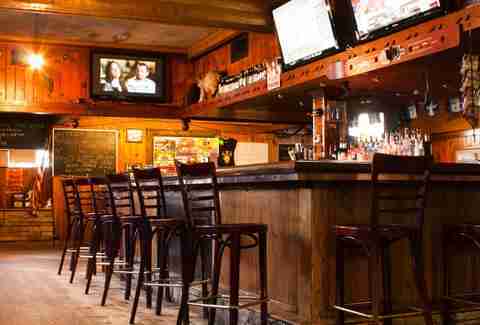 A local’s hangout that serves shots of lord knows what kind of liquor with bacon garnish, it’s a collection of oddities (which includes the locals) with bar grub that goes the extra mile all while you relax under the watchful eye of taxidermied buffalo and moose. Charming, for sure. 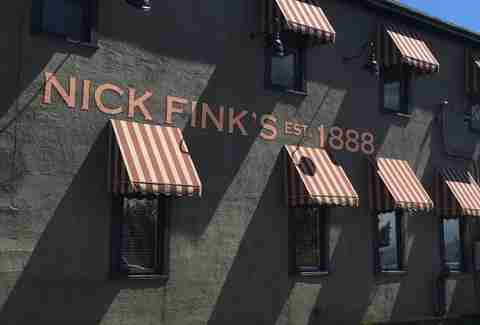 Nick Fink’s is named after its benefactor, a Prussian immigrant, and the space has over the years held its own as a barber shop, hotel, post office, and reportedly even a brothel. 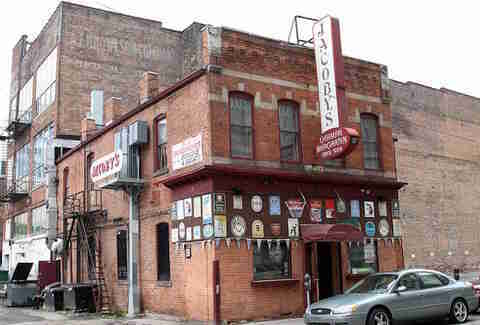 Today it’s a Grand Rapids bar that attracts locals for the chill vibe and cheap food, and travelers looking to take in a bit of GR history. Originally a flour and feed store opened circa 1870, the bar was officially christened (how do you christen a bar? We picture splashing whiskey every where) in 1898 and called “The Bismark.” It’s changed hands over the years but retains its turn-of-the-century farm vibe with live music -- typically of the folk variety -- and a very no frills aesthetic. What you’re getting: The best garlic bread known to man. Located in Detroit’s Eastern Market, the Roma began its life as a boarding house for travelers and farmers rolling through one of the Midwest’s hottest spots -- actually one of the hottest spots in the entire country. 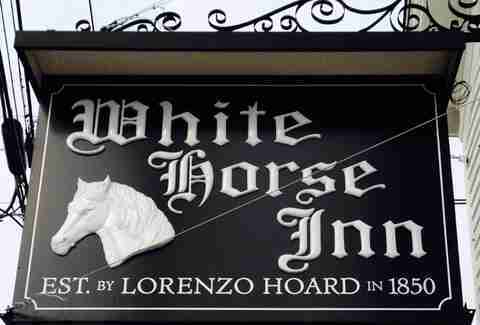 The patron of the boarding house was an Italian woman known for her home-cooking - and at the urging of her many fans - she opened her doors to diners in 1890. The Roma was sold in 1918 and remains in the family of the second owner. More than 25 trains passed through Holly each day in the later part of the 19th century, bringing wealthy travelers and ramshackle vagabonds by the boxcar-full and dropping them in the middle of farm country needing a place to stay. It’s been a locale in Prohibition lore, with pro-Temperance movement leader Carrie Nation landing in jail in 1908 after she disturbed the peace in the bar. The hotel has burned to the ground not once, but TWICE, the second time being 55 years to the day and exact hour that it went up the first time. 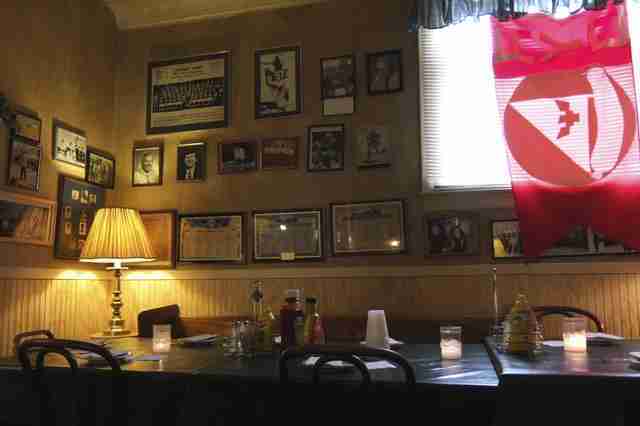 Nancy’s is a hidden gem in the Motor City, nearly unchanged by the last century-plus and staying true to its neighborhood pub feel despite the newfound investment interest in Corktown. It’s a tiny, bluesy watering hole that always manages to fit more than its fair share of good-timing Detroiters into its humble walls. Detroit was attracting immigrants by the boatload in the early 20th century, and the German couple who started serving beer and Old World-style cooking to their hard-working countrymen in this downtown neighborhood hit it gold. Over the years, new faces have come and gone, but what remains is this piece of gritty architecture, its German heritage, and its refuge vibe. 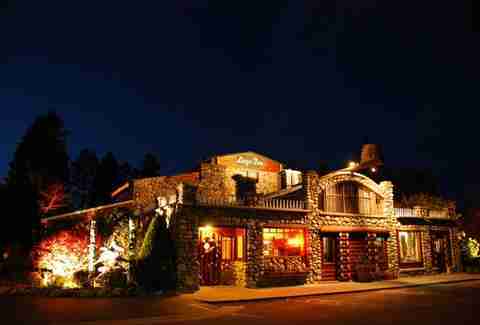 Set in one of the Upper Peninsula’s loveliest hamlets, stepping into this restaurant legitimately feels like walking out of a time machine. The Germans did it once again - bringing beer and hearty food to a region as remote and frigid as it is beautiful. The Michigan House started as a hotel and saloon, and hasn’t changed much in appearance since it opened more than 110 years ago. Detroit Is a Bar: What Is Each Neighborhood Doing? This Poletown institution has been serving homemade Polish food to its countrymen for more than a century, and has stayed close to its roots, only changing hands through family and friends a few times. The Polish Yacht Club’s members are still hoping City Council will agree to its long-held request that a canal be dug from its very much landlocked home on Joseph Campau down to the Detroit River, but until that happens, you’ll find them happily drinking Zywiec without an empty stomach in sight. What you’re getting: A moist coney dog nestled in a starchy bun, and topped with chili and onions. The battle between Lafayette and American is like the Cain and Abel of the processed meat world. 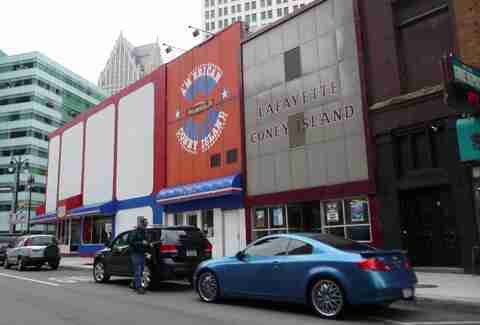 Legend has it, two Greek immigrant brothers opened the first Coney-style restaurant in Detroit and due to a business disagreement, decided to part ways and continued their businesses competing side by side. Today American and Lafayette sit side by side and each has its own dedicated following. What you’re getting: See above. Willed into existence by Polish immigrants, this place has the feel of a log cabin in the middle of Kalamazoo’s downtown. With plenty of Michigan beers to choose from, Louie’s has maintained its small-town charm for nearly a century and has a steady stream of loyal locals coming through the door. This chill and off the beaten path bar is a neighborhood hangout and a beloved gathering spot for sports fans to catch a shuttle to the game. Basically, it’s served its purposed over the years as a home away from home and a comfortable we’re all family here vibe. We can’t be certain how it looked in its earlier days, but it gives the vibe that not much has changed -- probably because they got it right directly off the bat. 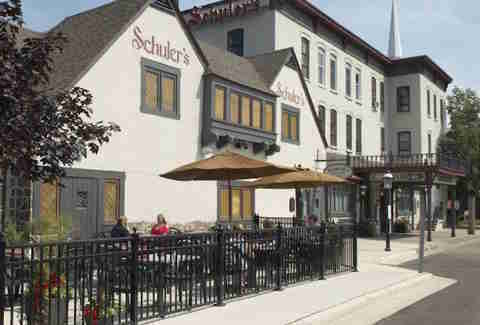 Schuler’s began as a hotel with a small dining room owned by the town’s deputy sheriff, and has been passed down three subsequent generations landing it on the list of Michigan Historic Landmarks. It’s accessible fine dining without much need for drastic renovation to the menu over the years. Back when Highland Park was a leafy town brimming with work, a couple of Greek immigrants opened this diner and, from its modest size and family-dinner vibe to its chili sauce, very little has changed since. Today, it’s a popular spot for breakfast and responsible for the general alimentation of the Highland Park Police Department. What you’re getting: A Coney dog -- what else?! Duly’s is a Southwest Detroit classic, a long, narrow bar to eat at and not much else going on besides the chatter of locals and the popping sounds of a busy frier providing coneys late into the night (it’s open 24 hours). What you’re getting: The Polish combination platter: kielbasa, cabbage rolls and pierogi. You can’t go wrong with the Great Lakes Whitefish either. Nestled along an absolutely stunning piece of Lake Michigan shoreline, this restaurant was built by its original owner, a retired Polish autoworker who fell in love with the forests and quiet of Northern Michigan and its Ottawa and Chippewa cultures. The building is pieced together, and includes a curio shop, living quarters, tavern, balcony, dining room, and four great stone fireplaces. Megan Frye is a Detroit-based writer who on certain days feels like the stripper pole of the New Hudson Inn probably feels every day -- winded and in need of a good exfoliant. Grind on her in Twitterland at @fryechild -- but please, no Poison.